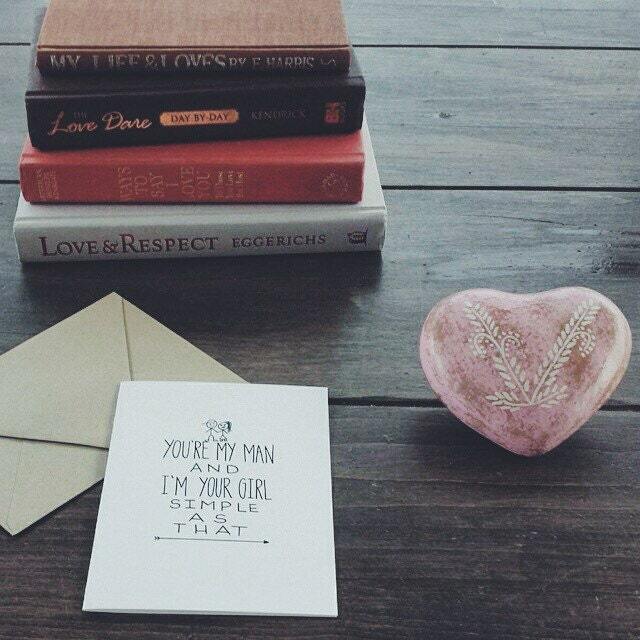 So this might be the cutest valentine's day card in the history of cards. 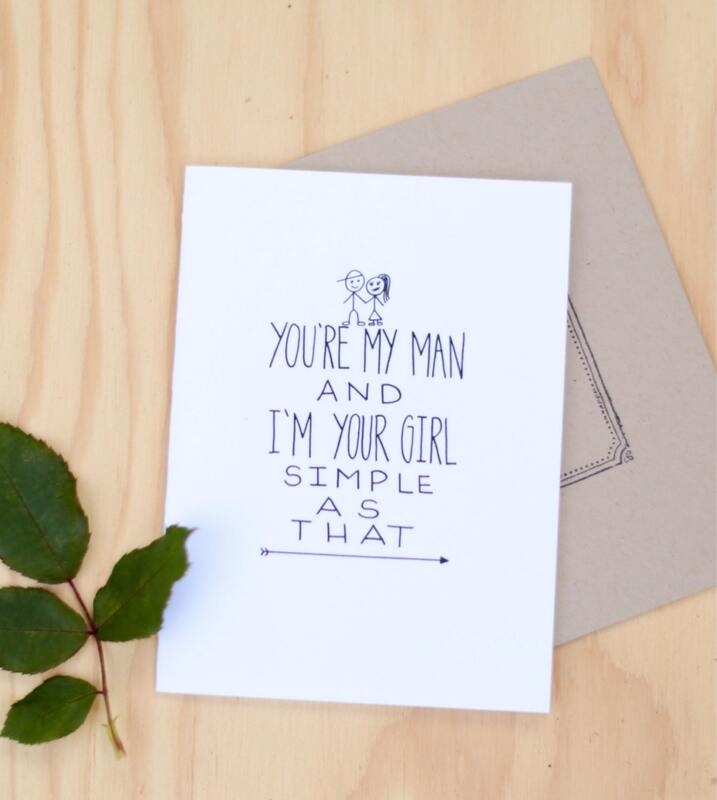 Designed in super clean and simple lettering with cute little stick figures, it illustrates just how simple it is when you find your man or your girl. 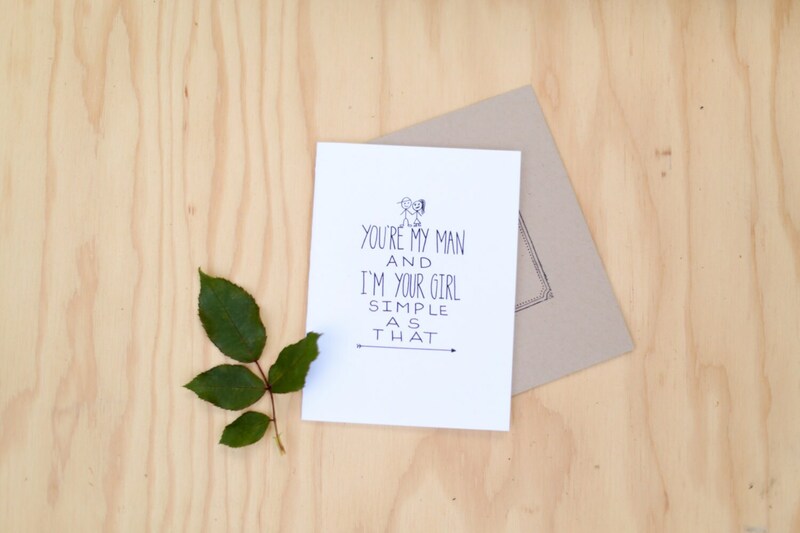 Available as a hand drawn card at no extra charge in different combinations! 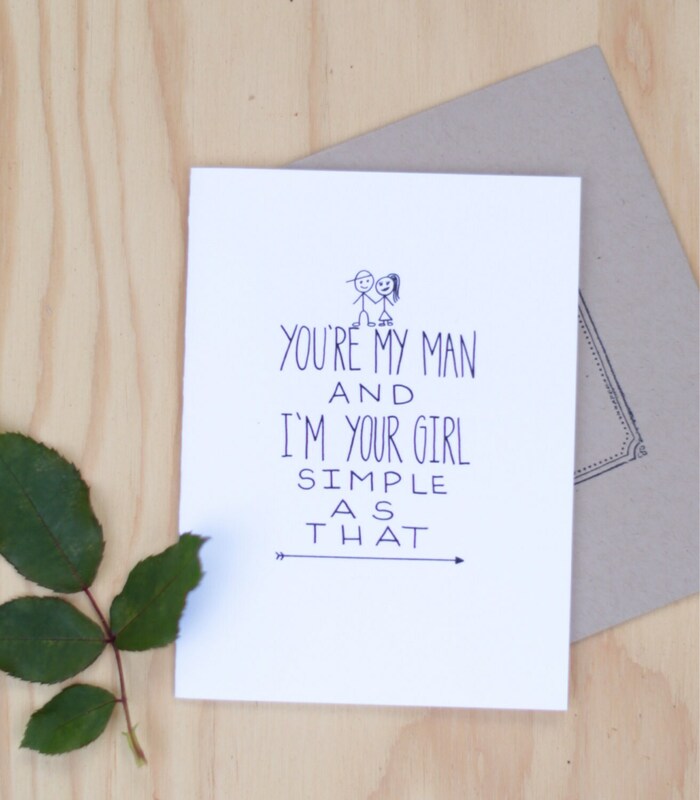 Man/man, girl/girl, person/lover - whatever you'd like it to say! Just leave me a note in the 'msg to seller' portion at checkout and I'll make it happen for you. Professionally printed at my local print shop on heavy weight card stock and includes kraft French point envelope. A6 sized.